In cooperation with business or concept owners we realise successful start ups or relaunch existing brands with renewed ambition. We do not consult, but take operational responsibility and hence control every step of the funnel. We have in house capacity on sales, (online/social) marketing, finance and strategy with a focus on concepts which have both a brick & click component. We strategise go to market with room for continuous improvements on execution. We work with MVP’s to determine product market matches and translate these into going concerns. We use our expertise in Strategy, Development, Marketing, Communications, Finance and Funding to realise concepts that matter and have an unfair advantage. We have a continuously driving spirit to bring companies further towards achieving their goal. 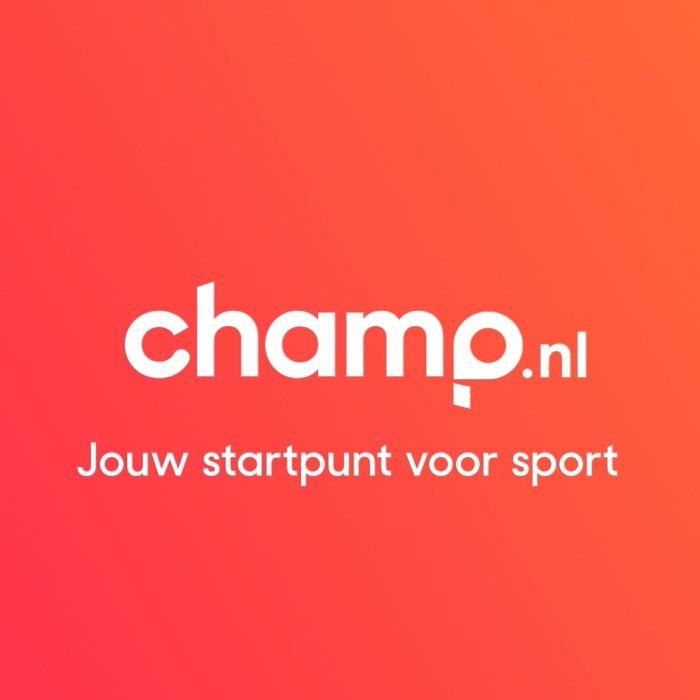 Champ will be the biggest sport community in the Netherlands. Offering insights in all sports an area has to offer, which can be booked on a pay per use model. Wingman is a revolutionary condom which is unique through its patented clip. Positioned as the lead challenger of current market leader, Wingman is the condom which takes the hassle out of the hustle. Palthe is the most recognised, qualitative dry cleaning brand in the Netherlands. With an existing network of dry cleaners, Palthe is moving towards an online servicing model. 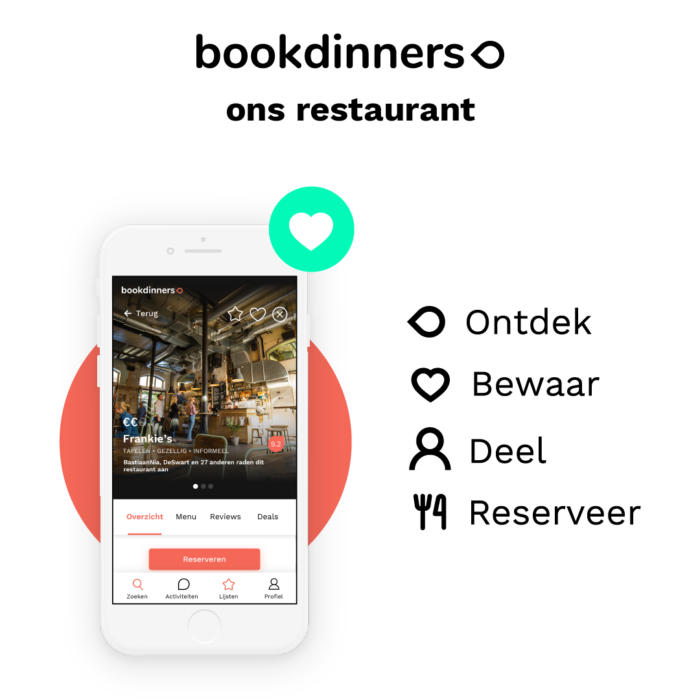 BookDinners is the first Social Restaurantplatform in Europe. Guests and Restaurants are matched, based on tags, profiles and a genuine user interaction. BookDinners is the new way to discover restaurants. We work for owners of businesses whether in early concept stage or later stage ready to pivot, which have a unique essence which cannot easily be duplicated. Which have a real advantage or talent and with which we can build a joint future. We do not work alone, but we work with best of class partners to deliver the best elements for growth of our concepts. If we do not know you yet, drop us an email to get acquainted. We are always interested to learn best practices in technical marketing, (social) advertising and tooling.